Yes, you read the title correctly. 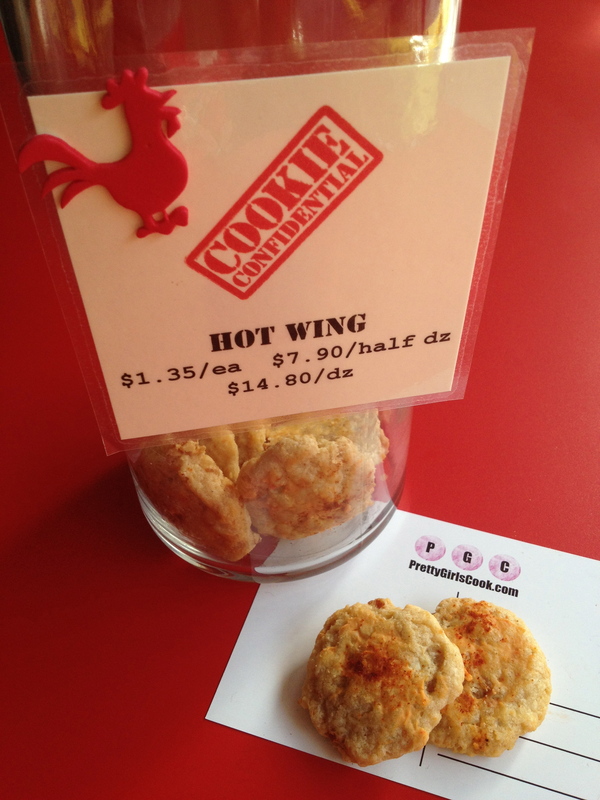 That is a hot wing cookie! My friend Melissa, owner of Cookie Confidential, whipped up these cookies with chicken marinated in hot sauce made by yours truly, blue cheese, and some other secret ingredients. The cookie takes exactly like a buffalo wing dipped in blue cheese. They won’t be around long so stop by if your in the Philadelphia area or visit her site for online ordering.